Medterra’s CBD product line has five cannabidiol compounds that, at least at a thorough premiere inspection, seem to be high quality, fully compliant CBD products that you can trust. 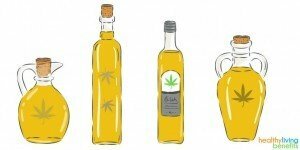 The lid on top of the cannabis-filled pot has been kept tightly for a significant number of decades, but for a few years now the mixture has well and truly exploded. For interested consumers this has had a two-pronged effect – the market has been flooded with a host of questionable merchandise, while quality research has also opened the door for possibly valuable products which do not receive the attention they deserve. A new company, functioning in the shadow of the giants in the industry, Medterra has nevertheless succeeded in building upon the novel hemp breeds and cannabinoid extraction techniques in order to deliver a CBD isolate, pain cream, gel capsules, tincture and sleep tablets with a remarkable CBD purity which comes from non-GMO farms, and boasting 0% THC. We will take an in-depth look at the integrity of the company itself, how it stands apart from the uncountable other enterprises manufacturing and commercializing similar products; we will analyze what is inside the containers while also keeping an eye open for echoes Medterra’s activity within the almost saturated CBD community. As we always like to point out the caveats as soon as possible when examining any company and their activity, one of the few question marks lurking over Medterra is the enterprise’s very novelty. It has been around for less than a year and, even though it has extended its operations beyond the United States – having an institutional presence in the United Kingdom, with deliveries possible in Germany, South Africa, and Australia – it is still early days to conclude that it is a 100 percent trustworthy outfit. Despite the fact we were not able to locate a single serious complaint from existing customers, our natural skepticism requires that we inform the public on this matter. To mitigate this (possibly overzealous) position, we should add that we have located quite extensive information on two persons with key-positions in the company’s both US and UK operations, and they are seemingly above all suspicions – no criminal records or conspicuous gaps in their professional activities. While Medterra’s online presence is rather discrete, their official website is attractive and comprehensive for the matter at hand. It offers much more information on the products themselves and the activities involved in the whole process, from the selection of the hemp plants until the post-purchase procedures in cases of customers not wholly satisfied. Medterra’s first selling point is the “100 percent American made” angle. The company aims to distinguish itself from other manufacturers and/or sellers by insisting the hemp plants they use as raw material for their CBD line are grown only on US soil, as opposed to the majority of its competitors who get their supplies from the international hemp market. Though this fact may be correct, the way in which Medterra makes this argument contains a few inaccuracies. While it is true that the majority of industrial hemp worldwide comes from places where agricultural standards are nowhere near as drastically enunciated and enforced as in the United States, the main culprits identified – Russia and China – do not hold a near hemp monopoly as stated on the official website. Furthermore, a considerable number of US manufacturers of supplements featuring cannabidiol argue that their hemp supply comes from the northern countries of the European Union, where agricultural standards are at least of the same excellence as those practiced in the United States. It is common knowledge that countries such as Finland and Denmark are pioneers of “green” agriculture, and have a more prolonged association with industrial hemp than then the US. This state of facts may be further prolonged, so long as industrial hemp plants (not just buds and flowers of more psychoactive potent variants of the cannabis plant) remain a Schedule I controlled substance at the federal level, and also in the legislation of most states. 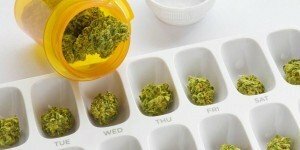 On the other hand, the recent surge in a whole range of products featuring cannabidiol (which are legal across all 50 states) coupled with the FDA’s research endeavor into CBD (also not neglecting what is already a powerful “cannabis lobby” at both state and federal levels) may soon change this rudimentary attitude on part of the legislators. One such move towards change has been taking place in the state of Kentucky through the 2014 Farm Bill, which has allowed interested farmers to apply for a license in order to grow high-quality industrial hemp through that state’s Department of Agriculture Industrial Hemp Research Pilot Program. This initiative has seen a, frankly, unexpected enthusiasm, considering the rise in the harvested area: 33 acres in 2014, 500 acres in 2015, and more than 2000 acres in 2016 (the last year for which such figures are available). The state of Kentucky puts farmers and processors in contact, and Medterra has taken advantage of this seemingly 180-degree turn from the authorities. All of the operations, from the purchase of raw material to packaging, involved in the CBD products line takes place in Kentucky, with just the sales department being headquartered in Irvine, California. Thanks to the Pilot Program, manufacturers can work closely with farmers, hire cannabis specialists and experiment with a wide variety of hemp strains. Thus, companies including Medterra have the possibility of monitoring farmers so they can acquire the best possible, GMO-free and cannabidiol-rich hemp. Unlike other cannabidiol product manufacturers and vendors, Medterra is not reticent in taking the customer through the CBD extraction process, not claiming to have revolutionized the business and being in possession of a top-secret recipe. Full spectrum cannabinoid oil is then extracted from the carefully selected plant material using the supercritical carbon dioxide method (super CO2, for short) – in which, with the aid of a pressurizer, carbon dioxide is transformed from its natural gaseous state into a liquid, acting as a solvent that thrusts the concentrated cannabinoid oil from the industrial hemp, and then gets vaporized by slowly reverting to normal pressure. This oil, containing a high concentration of cannabidiol and (far less, though still significant) quantities of cannabigerol (a cannabinoid useful in the treatment of local pains, without psychedelic aftermath) and cannabinol (found in only distinct breeds of cannabis, having analgesic properties), alongside traces of hemp terpenes. To obtain the CBD oil, the mixture is further refined and, in the case of the CBD isolate a laborious extraction, followed by a filtering process is repeated several times in order to obtain the coveted 99 percent pure CBD. Unlike the vast majority of CBD companies, Medterra is more than transparent about the quality of their products. 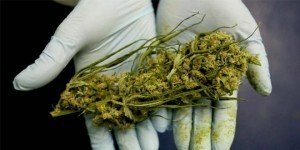 A readily available certificate of analysis can be found on the official website from a premiere testing facility from Massachusetts, which is specialized in the testing of products derived from medical marijuana. In fact, Pro Verde Laboratories warns that the majority of CBD supplements on the market either contain far less than the advertised amount of cannabinoids, or are riddled with harmful compounds (such as molds, foreign bacteria, and heavy metals), chiefly as a result of intensive agriculture and soil mismanagement. Medterra’s products undergo a thorough screening for pesticide (over twenty varieties are tested for), E.coli, hazardous fungi and yeasts, Mycotoxin, and other elemental and metallic risks like arsenic, cadmium, cobalt, lead, mercury, nickel, phosphorus, or sulfur. From the analysis sheet present on the website, we also learn that the CBD isolate contains 99.6 percent pure cannabidiol. Furthermore, the testing was quite a recent one, dated December 2017. A welcomed section on Medterra’s site is a detailed figure where cannabinoid receptors are located around the human body. Although the interaction between cannabidiol and these receptors has not been fully (some would argue that not even partially) mapped out, it is still a good idea for potential customers to learn the basics of how CBD has the potential of influencing many aspects of physiology. 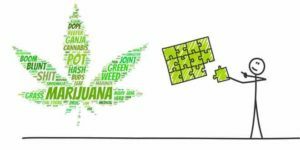 Additionally, there is even a hint at non-CB1 and non-CB2 cannabinoid receptors, a sure sign that those who market the product have done their homework, which is always a positive sign from a reviewer’s perspective. We have commended the company and its marketing strategies where it was due. Nevertheless, the testimonial section is in questionable taste as it presents the usual over-the-top anonymous praises, alongside a more reserved (yet obviously still positive) facebook feed. Testimonials as a concept are rather outdated, and the need for two such sub-sections is merely baffling. Medterra’s approach towards the manufacturing process is one that cannot be blemished; however for a pleasant experience, one also has to account the behavior towards customers. Keeping in line with virtually all CBD supplement manufacturing companies, almost wherever the brand is present, one also finds out that these products are not meant to cure any specific illness and have not been approved by the FDA. Coupled with the monumental terms and conditions section, the enterprise is pretty much covered in case of a lawsuit on any grounds. Besides the official website, Medterra can be contacted via e-mail, telephone (for both the US and UK operations), and if anyone is interested in wholesale, a special section is available online. Extra quick fulfillment and shipping are guaranteed for this type of customer. They advertise knowledgeable customer service, an aspect we can confirm with even the standard web bot having more than a few lines. If a customer is unsatisfied, they offer a 30-day money back guarantee, with the exception of processing fees chargeable for orders outside the US, or conversely, the UK. Another indication that Medterra is here to stay is its bonus system for online customers. Though it could be considered that it was warranted, as we are not talking about the most accessible of products, there are numerous instances where one can get a few perks: $10 when signing up, one bonus dollar for every ten dollars spent, and free shipping on orders over $125 to name but a few. 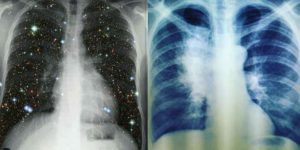 Also, the blog section of the website is quite extensive – more than 60 articles in about six months. We have leafed through the posts and did not find outrageous claims or outright false claims about the properties of cannabidiol (a detrimental though widespread practice in the industry), a sign that providing data so that the customer can make an informed decision about purchases has been taken into account. 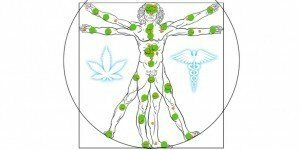 It is common knowledge that the effectiveness of cannabidiol has not been established beyond doubt in an academic, scientific, and institutional circles, even though the anecdotal evidence is overwhelmingly positive, with hundreds if not thousands of small-scale studies pointing towards huge benefits from CBD supplementation. Some (serious) companies that manufacture and sell CBD product lines drown potential customers with evidence from such experiments, to back up the claims they make regarding their commodities. 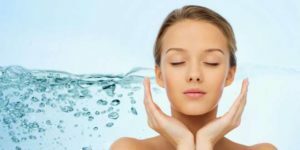 Medterra has not taken this marketing path, a strategy that may prove to be a double-edged sword. We must point out that it is always nice to have a few references to such research in the description of products, and we have taken the time to check the validity of the statements included in these descriptions. Medoil has 30 tablets containing a 25 mg dose of 99.5% pure cannabidiol, alongside 10 mg of melatonin (as active ingredients) cost $69.95. Other inactive substances enable the tablet to dissolve quickly, and the pill is designed in a way that allows the easy ingestion of half; in cases where there are problems with melatonin tolerance. A good night’s sleep is guaranteed by sublingual administration no more than half an hour before bedtime. The CBD used for this supplement is the more potent, isolate form, an important specification because cannabidiol has proved to enhance sleep in moderate to relatively high amounts. 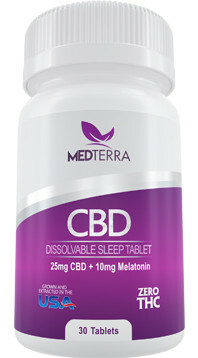 CBD is a sleep aid that lengthens the duration through reducing anxiety, the role of inducing sleep falls to the melatonin. 10 mg is considered to be a high dosage of melatonin, though even this quantity does not guarantee a smoother experience from the first pill. All in all, the amounts of active substances should back up the claims made by Medterra with little variation from an individual to another. This pain cream has 100 ml (or 3.4 fl. oz.) of ointment having 250 mg of cannabidiol alongside arnica extract and menthol costs $49.95, to be applied in the morning or before sleep. As was the case for the sleeping tablets, a host of other (non-active) ingredients are tasked with providing a rapid absorption. It seems that Medterra’s CBD pain cream has received a warm welcome in the bodybuilder’s community, individuals who are mostly concerned with acute pain rather than chronic afflictions. 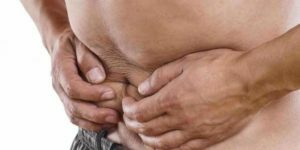 Cannabidiol is thought to have a positive effect on the general inflammation in the human body and thus, as a consequence, relieve muscle and (especially) joint pains, as advertised by the manufacturer. The best results in the problem of joint inflammation have been achieved with cannabinoid solutions containing CBD and THC in approximately equal amounts. On the other side, the evidence for arnica is quite flimsy, more than likely an extrapolation of myths in the Ayurvedic medicine. This product comes in two variants according to the CBD concentration per pill – 25 mg CBD capsules costing $64.95 per 30-pill container, and 50 mg CBD capsules going for $99.95 for the same pack. These capsules contain the same high purity cannabidiol isolate enveloped in MCT (medium-chain triglycerides) oil. Even though Medterra does not make additional health benefits claims for the consumption of this product, the testimonials section informs us that its most conspicuous results are in the anti-anxiety department. Furthermore, it might seem like a good idea to get your daily MCT oil intake. However, there is the question mark of the oil’s source. The CBD tincture is probably the most popular product of Medterra’s CBD line. The tincture is actually the active cannabidiol and MCT oil also found in the gel capsules. However, the tincture is available in three different concentrations, and the sublingual application means that it gets absorbed into the bloodstream much faster. 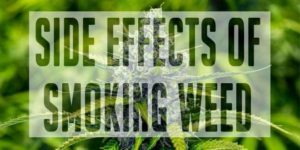 As is the case with all the other supplements except the sleeping pills, they can be taken either in the morning or at night, depending on everyone’s subjective experience with cannabidiol. One bottle contains enough substance to last 30 days and costs $49.95 for variant containing 500 mg of 99.5 percent pure cannabidiol, $89.95 for the 1000 mg version, which are topped by the 3000 mg concentrated tincture going for $149.95. 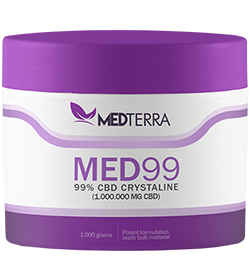 Med99 is an innovation, of sorts, conceived by Medterra. Instead of diversifying their CBD line to the point of absurdity (as some other companies do), they simply provide their clients with their most potent cannabidiol isolate, and let them design their personal infusions. We have to state that it is an inspired move, at least from the marketing point of view. A container with crystals totaling 1 gram of CBD costs $34.95, 5 grams go for $149.95, 10 grams $299.95, 50 grams $1249.95, and 100 grams $199.95. 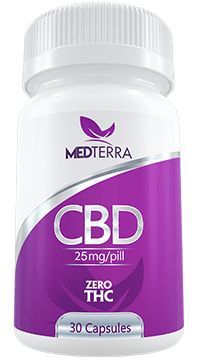 Medterra’s cannabidiol crystalline surely is the company’s top selling point, and quite possibly a revolutionary manner in which a large proportion of customers will get their CBD supplementation in the not too distant future. Though for the moment at least, cannabidiol is still on the fringe of mainstream medicine, designing and marketing products in good faith and with the honest individual in mind, might speed up the rate at which society accepts cannabinoids as an ordinary part of everyday life. Through its quality products, its transparent manner of informing their customers of what goes on behind the scenes, and customer service, Medterra truly is a breath of fresh air in the cannabidiol products community. 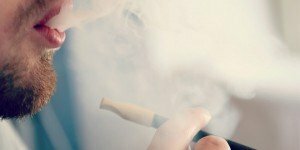 PreviousVapor to Quit Smoking: Is It Possible?